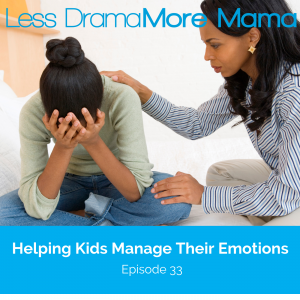 Do you ever feel stuck when it comes to helping your kids manage big emotions? Do you have a hard time helping them because your own emotions and reactions get in the way? In today's episode, I share why it can be so challenging to help your kids when they experience negative emotions, how you can connect with them when emotions run high, and how to help increase their EQ (emotional quotient). Why feeling and showing empathy for your child can feel unnatural at times. The best way to connect with your child when he's emotional. One of the most important tools you can learn as a parent. Tons of examples of what to say (and not say) when validating your kids' feelings.